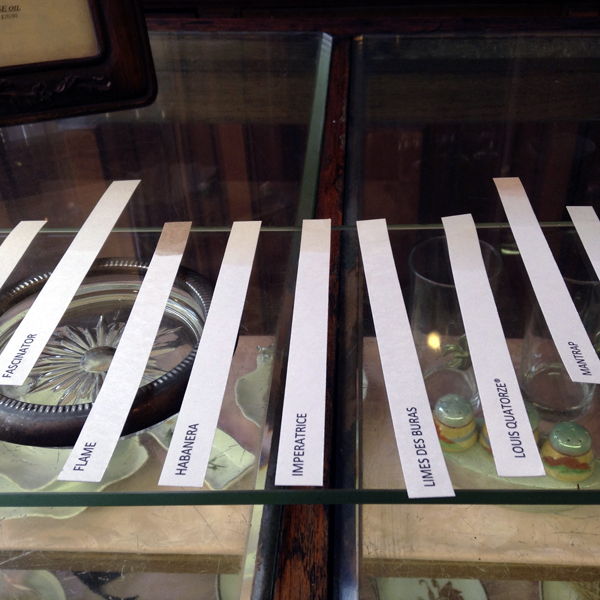 This entry was posted in Know-How and tagged Bourbon French Parfums, Hove Parfumeur, New Orleans, perfume shopping. Bookmark the permalink. H – Thanks for taking us on your journey to New Orleans. I love that town as it’s full of life and there’s always something exciting and fun to see. 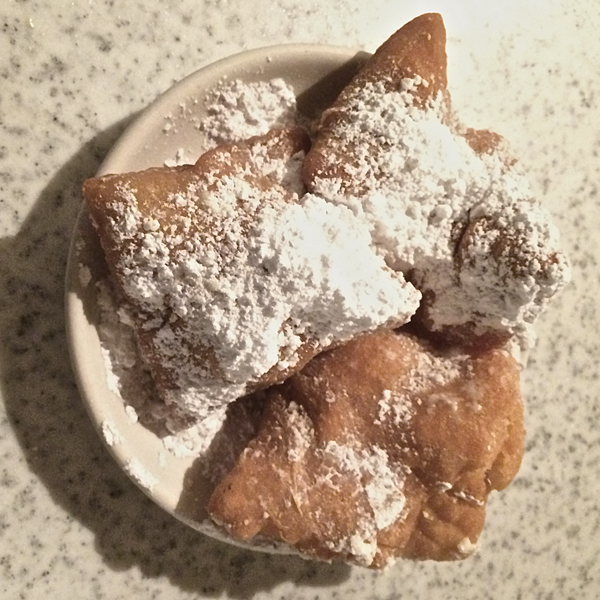 And every morning that I’m there, I always head over to Cafe Du Monde for Cafe Au Lait and Beignets! It’s one of my favorite things after a night of festivities. I had a party in my mouth when I had the beignets :-). It was my first time in New Orleans and if asked for a one word description of it, I would use “colorful” in more ways than one. Thanks for stopping by Houndie. Undina, it is as if I dreamed up this post, that I willed it into being. 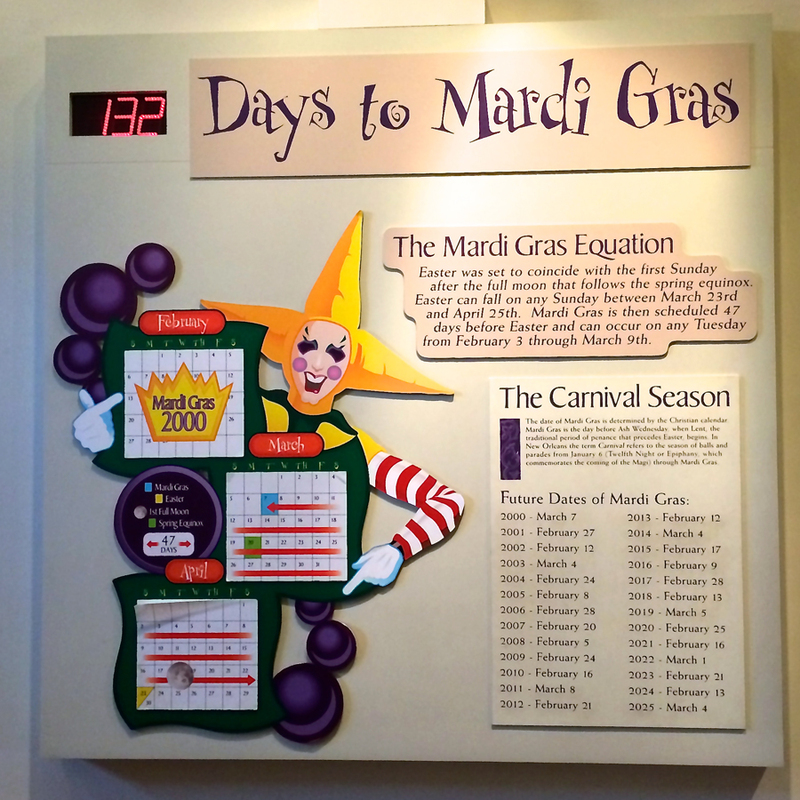 I am going to New Orleans at New Year and was craving this EXACT information, but couldn’t’ find it anywhere. So excited to read it. I am going to ALL these places. I am tickled pink at your comment. I’m glad to be able to provide you with information you were seeking for your upcoming trip. I can just imagine New Year’s in New Orleans being a prelude to Mardi Gras. The coincidence was perfect and amazing! I can’t wait to read about your travels! I wonder how much the bespoke service cost? It sounds like something I’d be absolutely up for. The bespoke service is a very affordable $85 for 1 oz. Since you have to be there for your custom blend, you will need to add another 9% sales tax. You really should go while you’re in this part of the world! Hajusuuri, I’m soooo jealous. 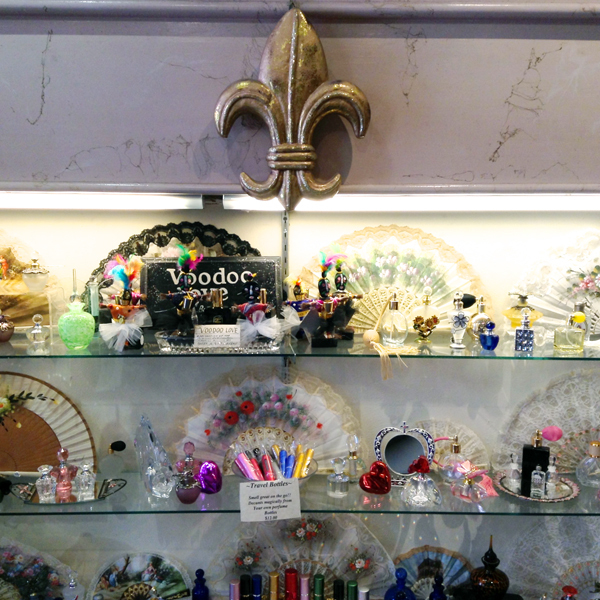 I’d love to visit New Orleans (and those perfume goodie shops). Maybe one day. 1) I live in Spain at the moment. 2) Yes! It’s a sale time. How can I miss? One of these days, you’ll make it to New Orleans! I have never been to Spain but I would love to go…probably in 2016. And sale time is the best time to go shopping although just my luck, half the time I end up buying something that is not on sale at sale time! Wonderful post Hajusuuri, really enjoyed you taking us on a virtual perfumery tour of New Orleans. And how lovely to get your own special perfume, were you happy about the way it turned out? Was it the most ‘you’ perfume in your collection, I wonder? And to Undina’s stats, Black friday seem to have only got herevery resently as in this or perhaps last year, and with the tax from stuff purchased from outside the EU, it hasn’t really paid off to buy. So, no, have never used those sales. Thanks, Asali. I am very happy with the way it turned out and I need to wear it more often. As to whether or not it is the most “me” in my collection, I would say no but then again, I don’t know what is, yet. I also now know you’re in Copenhagen for my first peek at your blog! I will be there August next year for the start and end of a cruise. If the timing works, perhaps we can meet up and I can mule some samples (as long as I can get myself organized). I will contact you. This is exciting! Wow. New Orleans has always been on my to-visit list. I love these pictures! Also, what does corduroy smell like? It’s my favorite fabric! Hi Joan, you absolutely have to visit New Orleans! As to the pictures, kudos to Undina for picking the right ones from the big mess I sent her in haste. Corduroy is woody and bergamot-ish (since the notes are not listed, I am guessing it is bergamot as it is not lemony, grapefruity nor orangey but it definitely citrus). I chose it as the scent for the shower gel as the bergamot is bright and the woody part gives off a sense of cuddliness and the combination of this makes the shower gel a great pick-me up any time of the year. I have never been to New Orleans, and now I have it on the top of my list of places to visit. Also, the ducky is oddly cute! To answer Undina’s question — yes, I have bought perfumes during Black Friday. Lord & Taylor has these Doorbuster coupons ($20 off of $40 purchase). There are NO perfumes anywhere near $40 but a coupon that can be used on Cosmetics & Fragrances is like gold. If I recall, I bought an atomizer with refill set of Chanel No. 5 EDT one year and another year I kept searching and searching and by golly I wanted to use the coupon so I ended up with a bottle of… Alien. This Friday, I won’t be able to get to the mall until late-morning and I will not even attempt to drive there; however, I live close enough to WALK there and as long as it is not too cold, my legs will take me there and I may just spend mine and my neighbor’s coupons. The only sales (% off) I’ve ever seen for the regular store’s fragrance department were Saks’ and Sephora’s Friends & Family events. But Saks stopped doing that and Sephora doesn’t carry any perfumes I’d want to buy even with % off since usually those can be bought even cheaper at different online discounters. I ended up using my $20 off $40 on Kiehl’s products :-). I was originally tempted with Prada Amber but it was just meh on paper and I didn’t feel like pursuing a sample. There are at least several Kieh’s products that I really like so I completely approve the choice! New Orleans is on my vSO’s “to visit” list so we’ll go there, hopefully in the near future. With you guide now I feel even better about going there. Definitely take the time to visit New Orleans. It was fabulous and I’ll probably re-visit (and still not during Mardi Gras either as that would probably make me miserable). Doesn’t hurt to check the Krigler website! Free shipping from Krigler is not attractive enough since I can just walk to the boutique at The Plaza. With Ormonde Jayne, I’m always leery of their sales because they tend to get overwhelmed and end up not fulfilling orders as they should. This is not from first-hand experience, just anecdotes from comments on perfume blogs. I went to the mall today to get a haircut and it was empty possibly due to the wintery mix that is yucking up everything outside. I asked nicely and was able to take home Black Friday pre-sale specials on Origins stuff today instead of having to go back another time to pick them up. I wonder what is the “excuse” for Black Friday in Croatia? I think any reason to get people into a shop seems valid to people here. Oh, yes, there seems to be a sale every day for just about any reason! Your personal perfume sounds divine! I would wear it. Don’t know how to answer the question. I live in the US and I’m essentially shopping for perfume all the time. I undoubtedly will succumb to some of the online promotions. Perfume shopping in a store is much rarer for me so I certainly won’t go OUT on Black Friday. Black Friday is not a holiday at my company and I’ve had a 50/50 chance of having to work that day, usually with flexibility to work from home. During the years where I’ve had the day off, I had braved the mall on Black Friday especially if I know in advance that a favorite store is giving away shopper incentives and/or freebies and there were things I needed to get. Hi hajuusuri! I loved this write up. 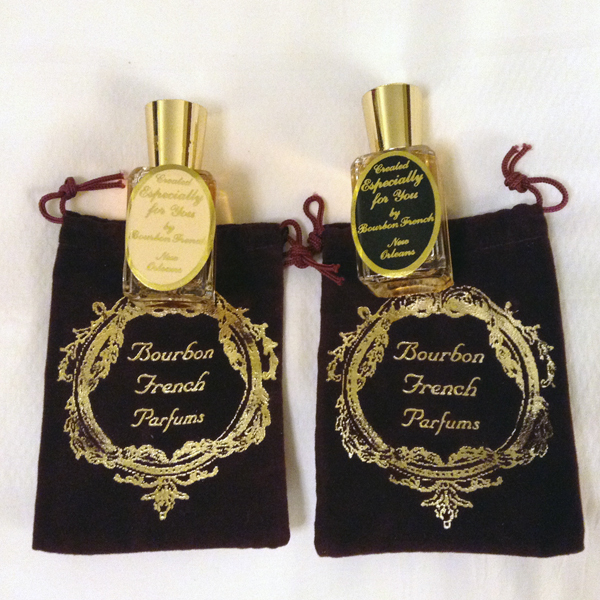 Just thought I would mention that Bourbon French is running their holiday sale right now through December 1. My favorite from the line is Oriental Rose followed by Voodoo Love and Kus Kus. Hello Azar! You are absolutely right with the sale going on at Bourbon French. When you were there (I assumed you were), did you have a custom blend made? I believe I visited the Bourbon French shop in 1971…but have been back numerous times online since they put up their website. No custom blend, though. My favorite Oriental Rose is a “new” fragrance from an old formula introduced last year (or was it the year before) about this time. I think they have either been bringing back some of the older formulas or coming up with some new ones and adding a contest component to it…like naming the perfume. I so enjoyed your travel report, also because of having spent a happy – and hot and humid! – week in New Orleans with Mr Bonkers in 1998. However, this was 10 years ‘pre-perfumista’, so it is good to learn where all the scented hangouts are, should I ever be lucky enough to go again. And meanwhile there is SIP Magazine Street, of which I still have a drop somewhere. I am in the UK and we don’t have Black Friday here, though I am aware of it as a ‘shopping bonanza thing’. Hi Vanessa! I just read up on SIP Magazine Street and that sounds really fabulous. What time of the year were you in New Orleans? It was still “two showers a day” warm when I was there in October but I couldn’t imagine what it would have been like in July/August, even in September! 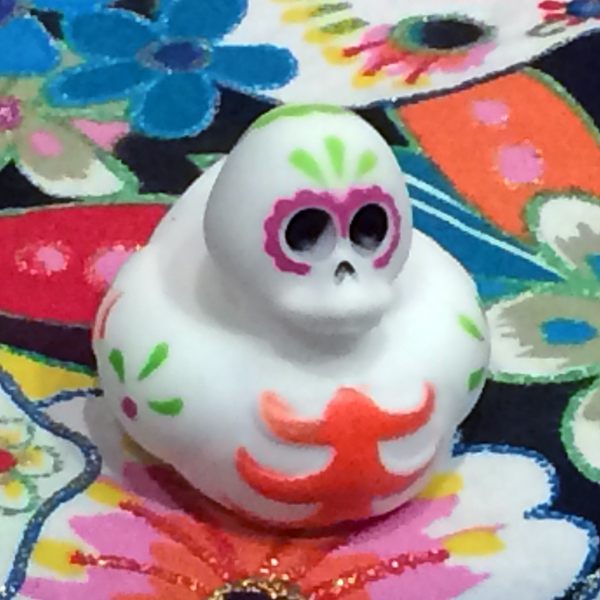 As to the Day of the Dead rubber duckies, I just thought they looked creepily cute and I was thinking of starting a collection of rubber duckies from my travels. I don’t think I’ll go down that path because everywhere I went asking for rubber duckies, I got a blank stare and/or “You want a WHAT?”. I think it was late Sept / early Oct, but my memory is a bit fuzzy. It was insanely hot and sticky, for sure! That is funny about the rubber duckies – thanks for coming ‘clean’, hehe. Oh, and I was quite wrong about Black Friday over here. Amazon and Apple brought it over from the US in 2010 and it has quietly been gaining momentum – now it seems to have taken hold and people are fighting over tellies in scrums on supermarket floors. Not all American imports are a good idea…;) I must say it had passed me by till I heard the news today! Oh no, you just enabled me on non-perfume stuff! How did that happen??? You reminded me I should check out Amazon for “deals” although I literally just placed an order from Amazon for regularly-pricing things that Dad and Mom requested plus tea filter bags recommended by Undina. I have a few more hours left to check out the Apple website! Thanks for stopping by, Absolute Scentualist :-) Both Mon Amour and Lady Evangeline sound wonderful (it’s got to be the vanilla!). I enjoyed my shopping experience at Bourbon French. There was a Twilight series actress the same time I was there and I got the same polite/pleasant treatment she did. Heh, she was my only celebrity sighting and I had no clue she was famous! Welcome, Absolute Scentualist! I’m always glad to see new friends in my blog. Cleveland is actually a great town (I know I am very biased!) so if everywhere else is Cleveland, than everywhere else is awesome! I too have always wanted to go to New Orleans – one of these days. In the meantime, thanks for the tour. I’m glad you enjoyed the post, Carol. I’ve been to Cleveland twice on business but somehow ended up not ever going outside the office building — I think i was able to take a train right from the airport and the office was one of the stops. If you have time next time, I hope you are able to enjoy our lovely city! I sure will and not just because Indigo Perfumery is located the next town over :-), the original Rock & Roll Hall of Fame is there! Especially after meeting you and hanging in NYC. I can hear your voice telling me the story. Hiya Portia! Thank you for your kind words. Meeting you was the highlight of my Thanksgiving weekend. I’m glad to have spent time with you and the gang at Osswald, the tea shop and Empire State Diner. It was a super fun weekend. We LOVED that diner, still talking about the Pumpkin Cheesecake. OMFG!